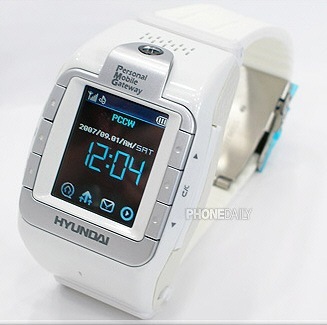 Hyundai has launched Wrist watch W-100 which includes a cell phone ( of course we had called it Cell phone equipped with Watch if it hadnr been a wrist watch 🙂 ). And there is a built-in 1.3 MP camera. It has Bluetooth and touch screen, can play MP3 files and what else when pricing is still not available!! It is being sold for $279 – $499. i like this type of phones pls send me the indian price of this phone. my opion is this phone is very beautiful and usefull i like this type of cell phones pls send the indian price of this phone.